Fee G has created this luxurious wool cape in an adorable shade of dusty rose. The cute little cape sits across your shoulders with elegant slits and closes with two concealed poppers. 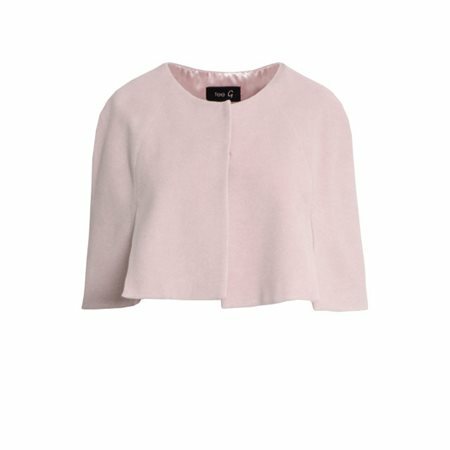 We are loving the soft ducky rose colour and the cashmere blend lining of this cape, it would be perfect worn over our Fee G dresses or a skirt and blouse combination.